The Morning Center stands for life. However, our journey in supporting The Morning Center did not begin with life. 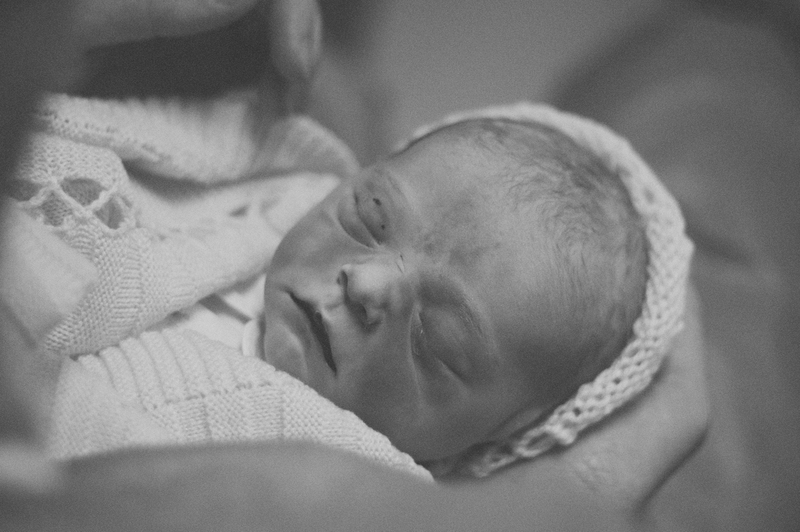 Our journey’s seed-bed was Death: our daughter, Tirzah Catherine Knight, was born still and silent at 40 weeks, and into the arms of Jesus on August 20, 2014. It was the darkest night of our lives. She was our every dream and prayer come true. We loved her beyond words. Holding her in my arms, and the soft touch of her cheek was a touch of heaven… for a moment. But heaven is real, and I will touch her again. We are people of the Resurrection. This is our hope. It is from this place that our journey with The Morning Center blossomed. Tirzah is NOT dead; she IS alive. Her life matters. Though born still and silent she has a voice that speaks loudly and clearly a message of life. Tirzah’s message and the Morning Center’s mission are one and the same: Life. Resurrection. Eternal Life. This is why we choose The Morning Center to honor and celebrate Tirzah’s life each year on her birthday, and invite others to join us. On her first birthday, we hosted an online baby shower that raised over $6000. We also celebrated her 1st birthday with a party and collected baby gifts. It was a holy experience to unwrap the gifts: clothes and dresses were chosen and wrapped through the tears of those who love us. The dresses, that would have been so beautiful for Tirzah, were meant to bless another baby. Holding these dresses was literally holding grief and joy together: hope beyond the sorrow. This baby shower for The Morning Center was actually a battle-cry: A fierce stand that as Evil rages on this earth, scheming to “kill, thieve and destroy”, Death does NOT have the last word. Life wins! In the battle against Evil and against Death, The Morning Center and all who work through the ministry are warriors fighting for life! We joined forces with the Morning Center, because Jesus has conquered sin, Evil and death! We stand on hope in the Resurrection. I repeat: Life wins!! We love the Morning Center and are proud to join the war on their behalf because they have dual weaponry against the Enemy that is rare in Christian ministry: Sharing the Gospel in deed AND in Word. The Morning Center enables women to carry and delivery their babies with excellent medical care. At the same time, their mission is sharing the Gospel of Jesus Christ in the fullness of truth with love. I have been so blessed to join with The Morning Center through prayer and see their work overflowing in Bible study ministry to fathers and refugees in the community. As we grieve our daughter here on earth, it has given us joy and peace in believing that the purpose of Tirzah’s life was for the grace of Jesus to spread (John 9:3). We see that promise fulfilled through The Morning Center, as her life has inspired us to take part in the gift of life to babies, mothers, fathers… and truly an entire community. Thank you, Catherine, for helping me turn my heart from grief to hope! Yes, The Morning Center is a realization of the hope that only Jesus can provide. Many little ones will be born healthy and strong through the grace of God!